Borussia Dortmund's focus is on their title challenge this weekend as they prepare to make a short journey for arguably their biggest game of the season. 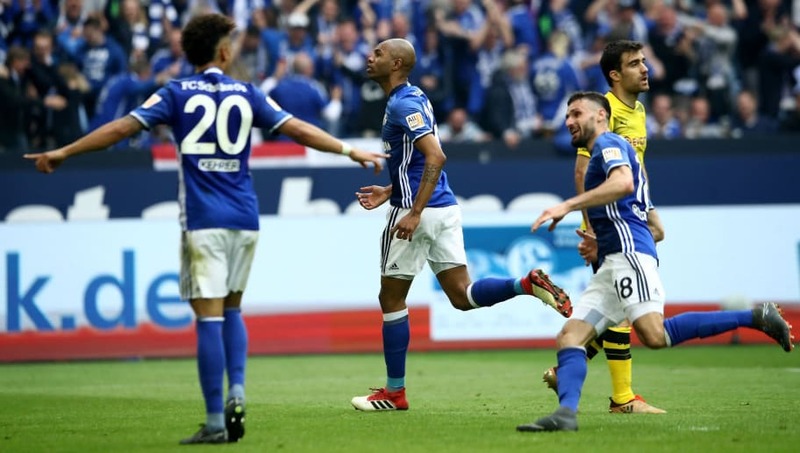 Last year, Dortmund failed to beat bitter rivals Schalke 04 and ended the season a whopping eight points behind the Royal Blues, the first time there's been such a gap between the two sides in almost a decade. Here is 90min's preview for the highly anticipated Revierderby on Saturday. Schalke will be short of numbers in attack this weekend as Mark Uth, Breel Embolo and Cedric Teuchert continue their rehabilitation from injuries. The club have also confirmed that Franco Di Santo will be unavailable, while Steven Skrzybski and Guido Burgstaller are doubts. Defender Matija Nastasić is one booking away from a suspension. Jadon Sancho missed training for Borussia Dortmund after he was granted special leave due to a bereavement in the family, but the England international will be in line to start in the Revierderby. Marius Wolf is the only absentee which has been confirmed by Borussia Dortmund, although Dan-Axel Zagadou is a doubt for the match. FC Schalke 04 Fährmann, Caligiuri, Sané, Nastasic, Oczipka, Rudy, Harit, Konoplyanka, Bentaleb, McKennie, Burgstaller. There have been 92 meeting between Borussia Dortmund and Schalke in the modern Bundesliga, which was founded 55 years ago. Despite losing the first ever Revierderby in the Bundesliga, Borussia Dortmund have just about edged the Royal Blues since the top flight's inception. The Black and Yellows have registered 32 wins, losing 31 of their meetings with Schalke while 29 have ended up in a draw. Schalke do, however, edge things when it comes to recent form between the two teams. The Royal Blues are unbeaten in their last five matches against Dortmund in the league. The biggest ever scoreline between these two sides in the Bundesliga came way back in the 1965/66 season. Borussia Dortmund scored three goals in just two minutes during the first half to take a commanding lead at the break, before scoring four more after the break, where star striker Lothar Emmerich rounded off the 7-0 win with his 23rd goal of the season. The visitors are certainly coming into Saturday's match in the best form as they haven't lost a Bundesliga match for almost seven months, while Schalke have lost seven already this season. The Royal Blues are just three points above the relegation zone, but they're only lost twice since the start of October and are once again starting to find their feet under Domenico Tedesco. Dortmund remain the only unbeaten side in the league this season, while their only defeat in all competitions came on the road to Atlético Madrid just days after thrashing Los Colchoneros 4-0 at the Westfalenstadion. If people think that Der Klassiker is hard to predict, then they're in for a whirlwind this weekend. All the signs point to a Borussia Dortmund win, even though their travelling to the Veltins-Arena, a stadium they haven't won at since 2013. Lucien Favre's side have been blowing teams away this season, and they've scored 37 goals in the league already. But if there's one game that Schalke can get motivated for it is certainly the Revierderby, so league position and form will go out the window for those in Gelsenkirchen. Expect Borussia Dortmund to get the business done this weekend, but it won't be a routine performance that we've come to expect from them this season.